Decksplash has a new feature, in the form of new maps! You can skate on cooler places now! if you sign up for the Alpha, you can experience it for yourself! Sign up here! Or if you want details on the new features, just click this link. 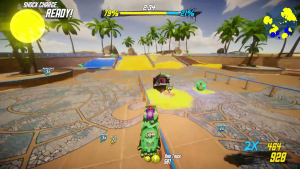 Decksplash reveals Power-Ups, a new feature that will arrive with its upcoming Alpha playtest.